The TEAM Erasmus Mundus is an Erasmus Mundus programme, funded by the European Commission. 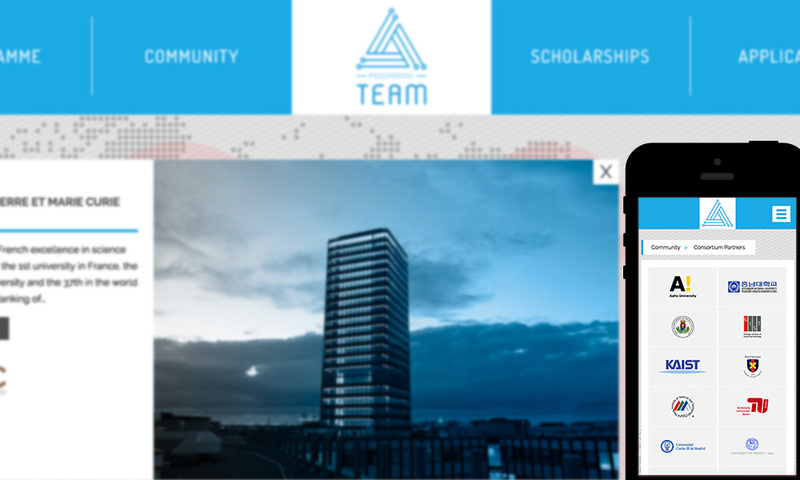 The TEAM partnership offers scholarships to talented junior and senior ICT researchers for a mobility in Europe or Japan and Republic of Korea. As a part of their communication strategy, designers Thomas Le Blanc and Antoine Marinot were in charge of all the visual art: flyers, logo, cards, paper and, of course, a website. Being part of a ICT program, TEAM project gave me a lot of liberties in matter of technology. The challenger part of this project was the home page. 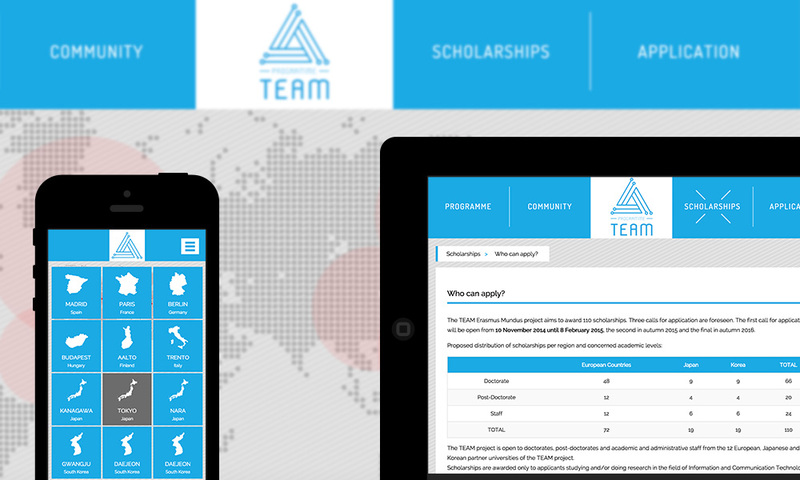 It had to show all universities partners between Europe and Asie. I choose to use an inline svg with CSS and SMIL animations. For smaller screens I decided to show directly all options available instead of using a map, that was unbearable for those screes sizes. The rest of the site is more rigorous, but it has a nice balance, it is clear, clean, sober and access to information is really intuitive.